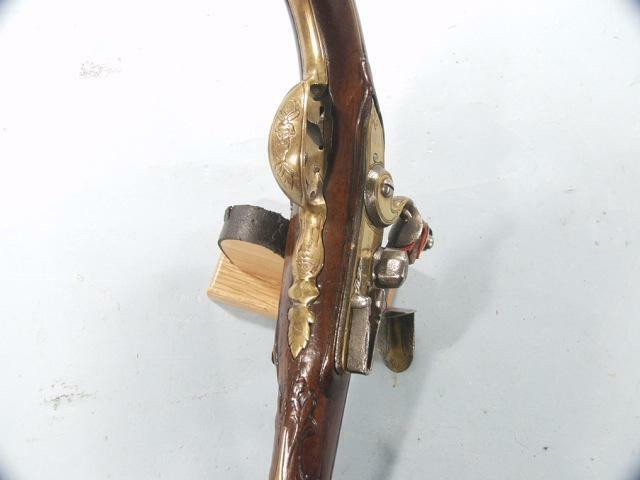 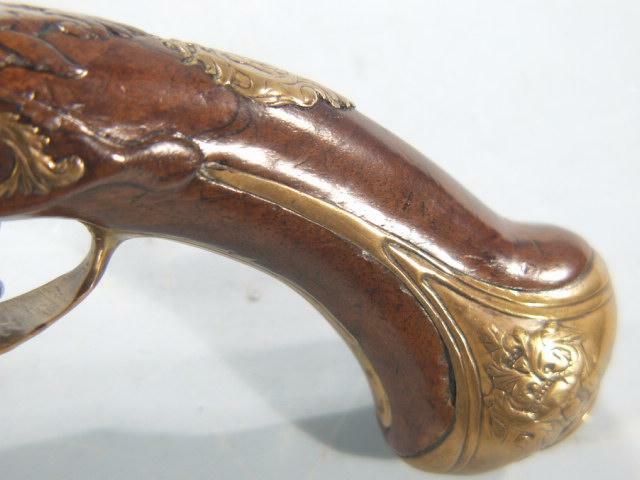 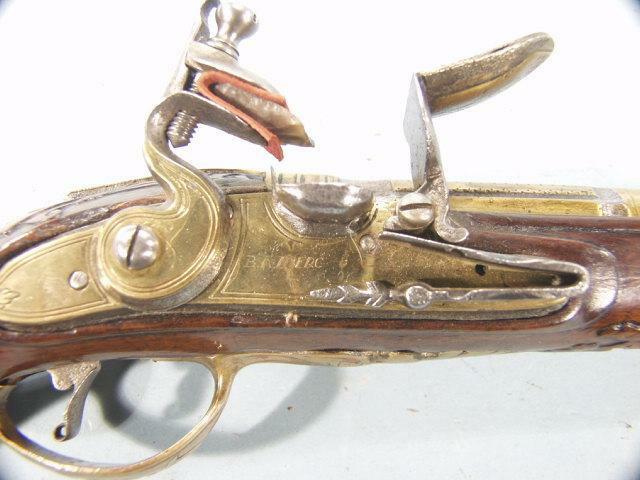 Dutch Flintlock Holster Pistol Signed "D. A. Zuerc - Utrecht". 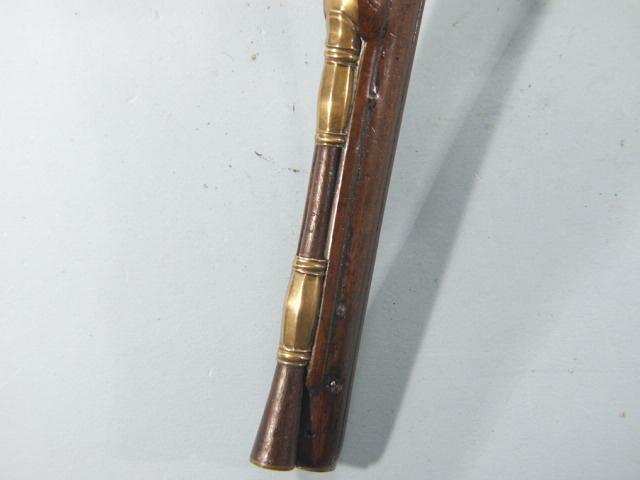 .60 caliber with 12-inch, brass, 2-stage barrels with unique brass panels and rib. 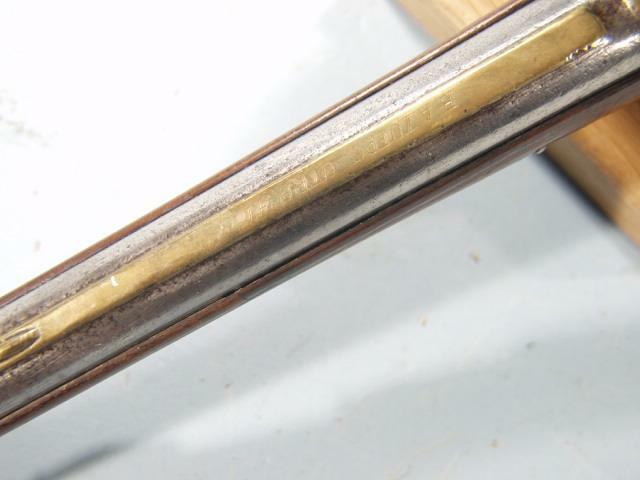 Signed on the rib with the maker's name. 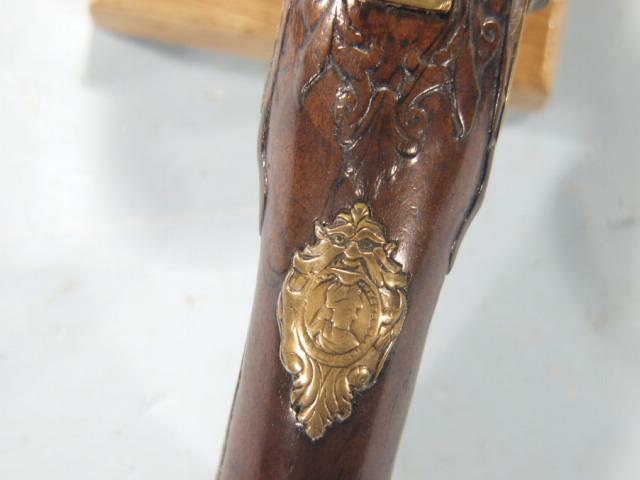 Brass lockplate and brass-faced hammer with the lockplate signed with the maker's name as well. 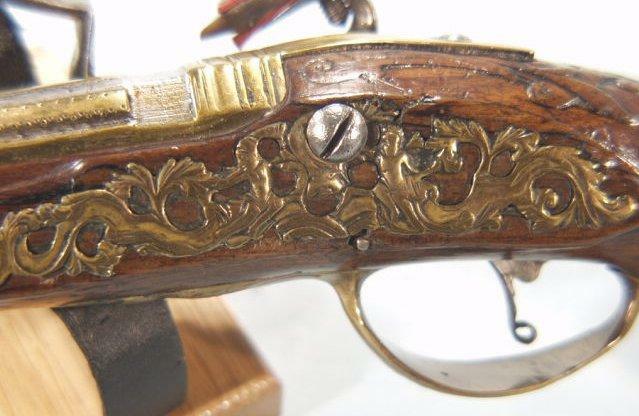 Carved walnut stock with brass repousse, chased and chiseled mounts.